Whoops! I’m about three weeks late on this, aren’t I? HA! Okay, so I’m ever so slightly behind on blogging my Thanksgiving Day dessert. It happens. I was so busy in November that I didn’t do much blogging it all so between catching up on other yumminess and blogging new yumminess from December, I just hadn’t had the time to share this absolutely to die for delicious pie! Eric and I always travel for the holidays (speaking of…only a couple more days until we begin our great Christmas pilgrimage across the great state of Illinois to see both sets of families! Sooooo not ready! LOL!) so it’s always hard for me to make something that will survive the trip. I wanted to contribute to the family feast in some way, so I asked my mom and dad for some suggestions for a dessert I could make and bring along. Since my mom was making the pumpkin pie, my dad requested something with berries, more specifically a triple berry mix of blueberries, blackberries and raspberries. Hmmmm…well, I’m never one to back down from a challenge so off I went to find to find something to really wow him! Well…not to toot my own horn or anything (LOL. Well, this is my blog so I’ll toot my own horn all I want, thank you very much!) but this pie I made was downright awesome. 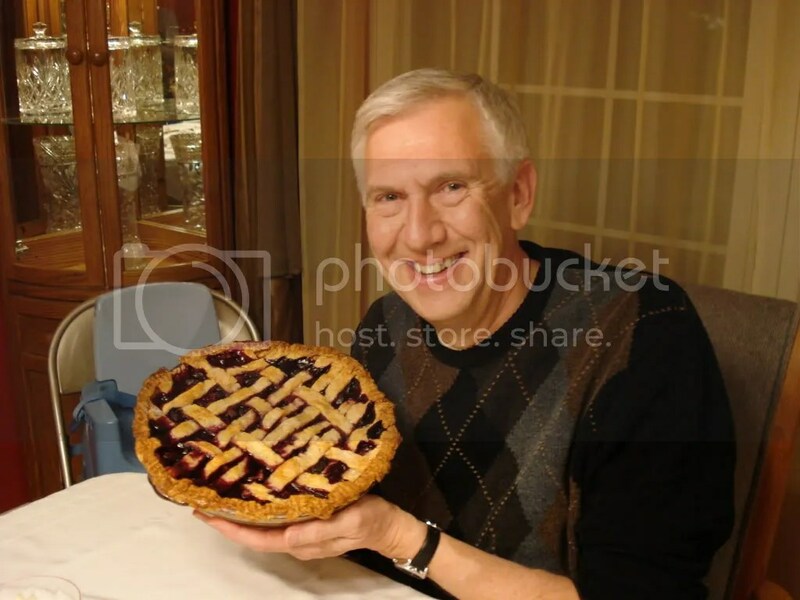 I was nervous presenting it to my family, as I had never made a pie from scratch before, but my dad absolutely loved it. I did too. I know Dad was sad to see the last slice go. It was so good. And the best part of all was that it STAYED good for the rest of the weekend. It didn’t turn to mush after we cut into it. I don’t love pumpkin pie so this was the perfect alternate Turkey Day dessert. I will for sure be making this again. In fact, my mom tackled it just this weekend for a holiday party. I’ve yet to hear how it turned out but I’m sure it was just as good. ‘Scuse the photo, if you will. 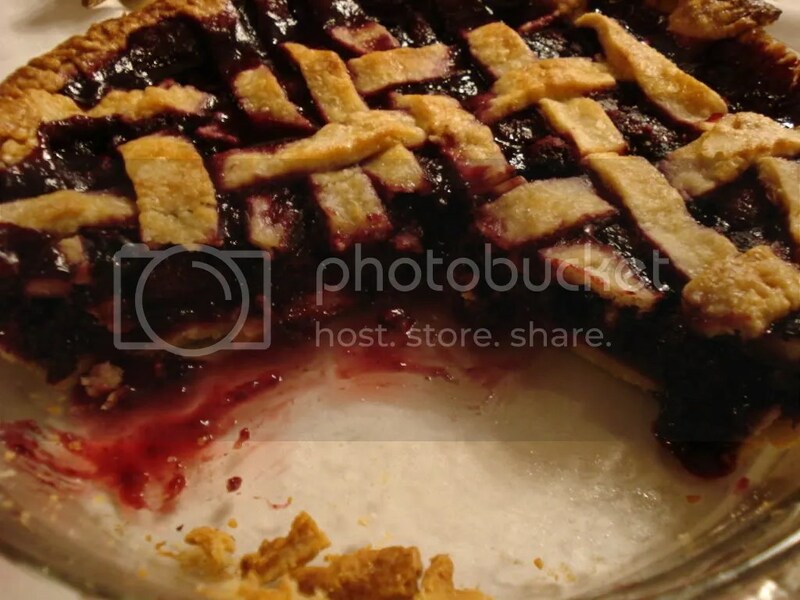 I was much more concerned with eating this pie on Thanksgiving Day then photographing it. It’s not the most beautiful thing in the world, but it is fabulously delicious. YUM!